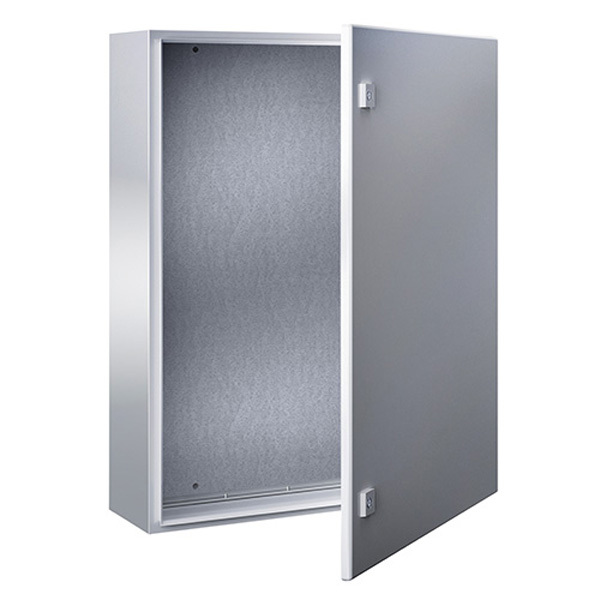 P66 Sheet Steel Wall Boxes, AE series The AE series wall box from Rittal has a strong unibody construction which has been dipcoat-primed and powder coated in a textured light grey finish for added corrosion protection. The door is interchangeable allowing it to be mounted on either side of the enclosure and is fitted with 2 cam locks and a foam gasket. The enclosure is also supplied with a gland plate in the base and a zinc plated mounting plate. 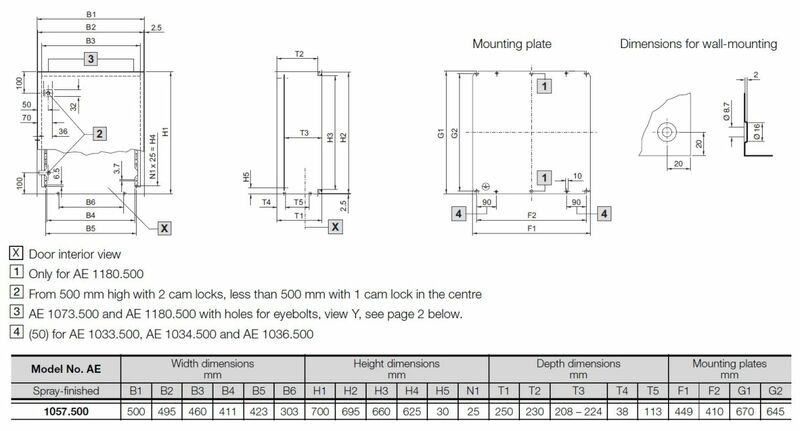 IP66 protection Made from sheet steel Outside of enclosure is dipcoat-primed and powder coated (RAL 7035 light grey) Door interchangeable, 130° opening Door fitted with 2 cam locks and foam gasket Pre-punched for wall mounting brackets and interchangeable doors **Wall mounting brackets are available separately, stock no. 464-5742 UL, CSA, TUV, VDE IP66 to EN 60 529/10.91, NEMA Type 4. Supplied with zinc plated mounting plate.